Are you looking to celebrate the holidays with friends? Do you have an upcoming birthday? Do you just want to have dinner with a group of friends? 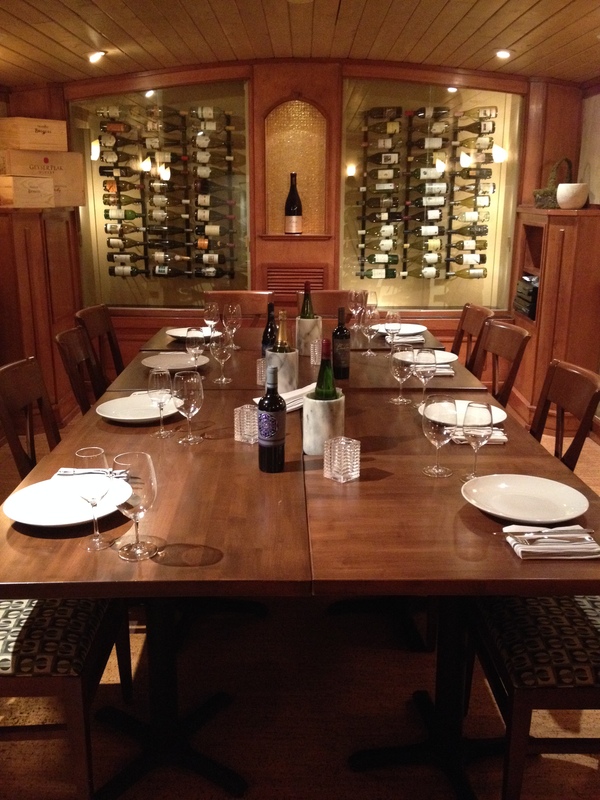 Book your next party at Postero’s Vault Room! We are open Tuesday-Saturday from 5:00-10:00, the room is available most nights and the room fee is $50. We can arrange tables as needed. This room has it’s own sound system and there is a CD player…you can choose the music! The room can accommodate 18-20 people (more than that and you better really like who is sitting next to you!) and we can customize a menu if needed. Please contact Stephanie at 828-595-9676 to discuss all the options. We would like to recognize some of our suppliers. 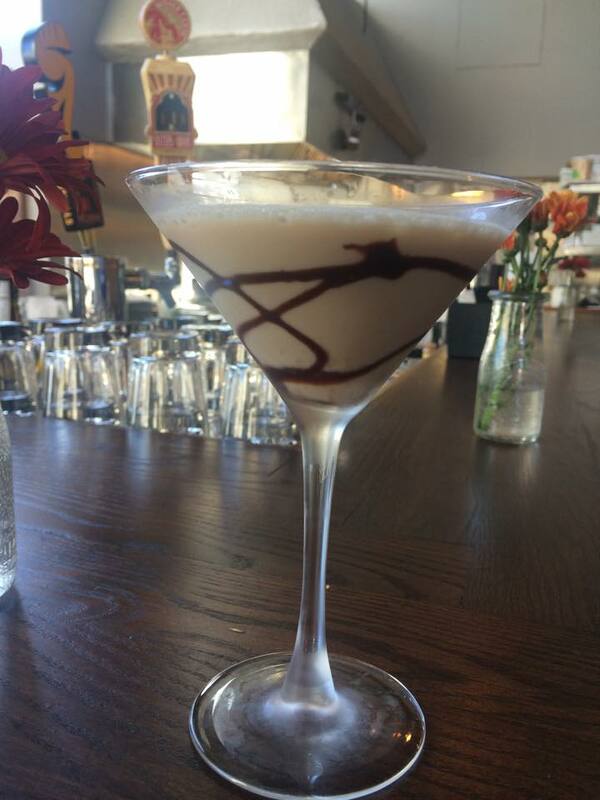 We are dedicated to supporting our local farms, farmers and foragers. So Thank you to Hal Oliver of Oliver’s organics for your potatoes, arugula, and radishes. 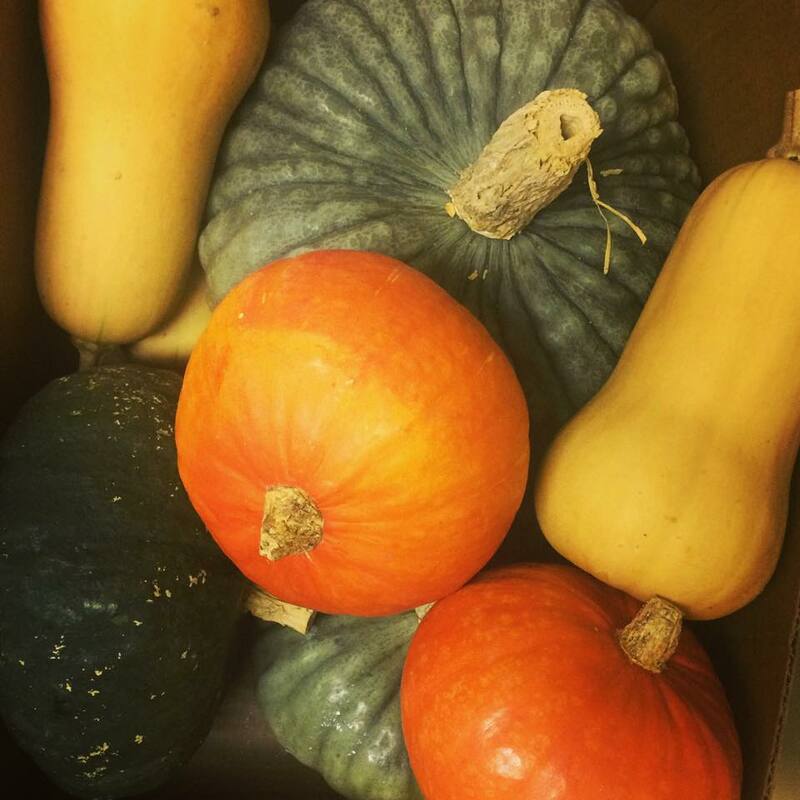 Thanks to Paul Shoemaker of Holly Springs Nursery for your red Kabocha, butternut, and Hubbard squashes. Thank you Kendall Young a local mushroom hunter who just delivered some amazing Maitake mushrooms. Thank you Victor Chiarizia cheese-maker at Blue Ridge Mountain Creamery, that cave aged Blue Ridge Blue is fantastic. You all make us proud to invest in our community and put the best of WNC on the plate. 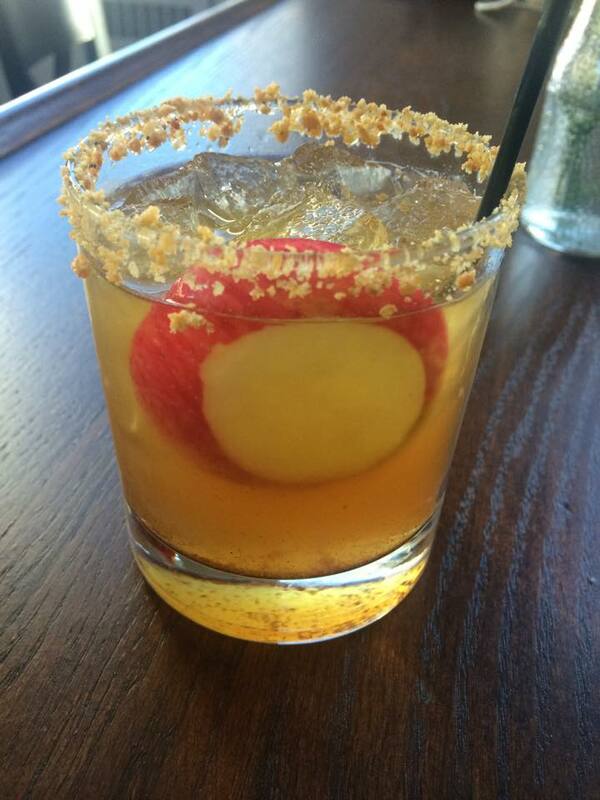 The Drunken Apple pie and Cinnabun Martini. Delicious and perfect for this season.